The Brancoceratoidea is a Cretaceous group of ammonites with a more or less evolute conch bearing strong ribs. [H84] Hyatt, A. 1883–1884. Genera of fossil cephalopods. Boston Soc. Nat. History, Proc. 22: 253–338. [KK08] Kennedy, W. J., & H. C. Klinger. 2008. Cretaceous faunas from Zululand and Natal, South Africa. 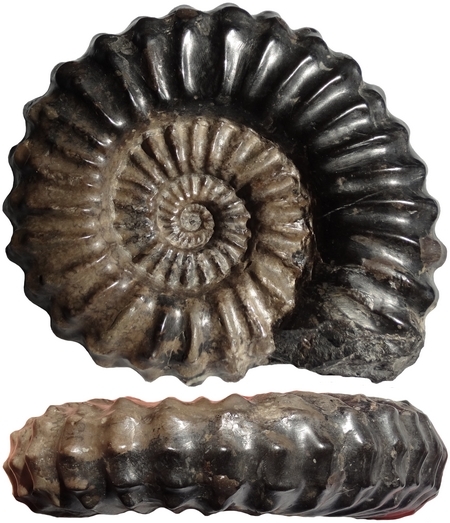 The ammonite subfamily Lyelliceratinae Spath, 1921. African Natural History 4: 57–111.